Knowing when to apply for financial aid is critical no matter which school you’re planning to attend. There are deadlines to meet and some funding is on a first-come, first-served basis. In other words, the longer you wait, the less chance you’ll have of receiving funding. The opposite is also true: The sooner you apply for aid, the better your chances of maximizing the amount you’ll receive. Each Year The FAFSA opens on October 1, and has a deadline of June 30 the year you need aid. This almost gives you a two year window to apply for financial aid. Below is a link to a table to help you navigate federal aid deadlines by state. It links to the fafsa.ed.gov website. These deadlines are relevant to 2018–2019 FAFSA applications. You’ll notice some dates have passed. 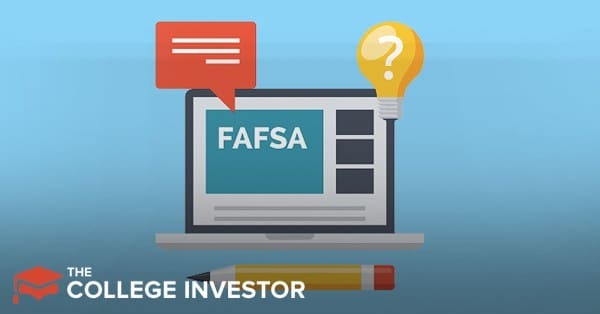 If a lot of the deadlines for you have passed, the 2019–2020 FAFSA may be a better option. You’ll be able to apply early. Deadlines will be similar but instead of 2018, you’ll focus on 2019. Always contact your school of interest to verify any deadline. The Federal FAFSA deadline is June 30 in the year you are applying for. You can start applying for the FAFSA as early as October 1 they year before. It is extremely important that you file the FAFSA every year. Many states set their own guidelines when it comes to providing financial aid and the FAFSA requirements along with it. We've put together a comprehensive guide on Financial Aid and Student Loans available by state, and you'll see a lot of states requiring certain FAFSA deadlines. Make sure you check with your state if you are applying for state-based financial aid. Here is the list of the 2018-2019 state financial aid deadlines. Finally, every school may maintain their own deadlines for when to file the FAFSA, with many schools opting for a first-come, first-serve approach to providing need-based financial aid. If you are going to need scholarships or grants to pay for college, make sure you touch base with your college's financial aid office so that you understand any deadlines or recommendations about when to apply. At the end of the day, earlier is usually better. When you are going to college, you should apply for the FAFSA every year. Beyond eligibility for scholarships and grants, the FAFSA is also what you need to get student loans. You should apply for the FAFSA as early as possible. It's relatively easy to do online, and will take about 20-30 minutes of your time. The bottom line is, don't miss the deadline, and apply early.